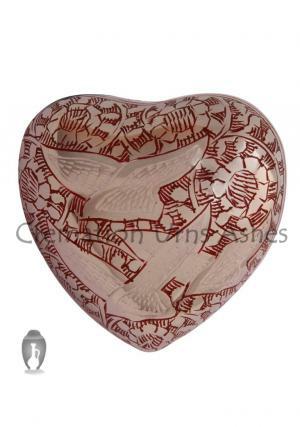 Doves on the urn represent the freedom and peace of the soul, with the consideration of soul flying off in the form of dove. 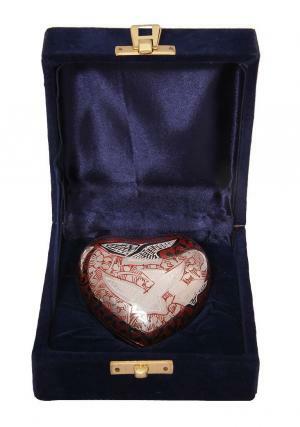 Going home red heart keepsake urn is engraved in nickel finish with hand painted swirls around the dove makes it mesmerizing. 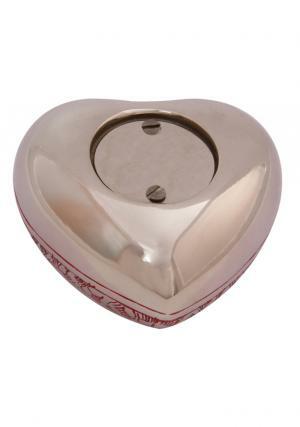 The heart keepsake memorial urn is made of brass metal with the curving from skilled professionals..
With the engravings of nickel the heart cremation urn has small chamber space to fit in 3 cubic inches of ashes which is secured with a tight screw threading behind for insertion of ashes. 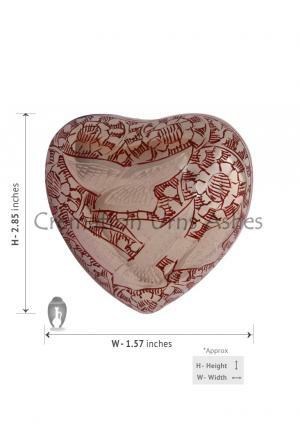 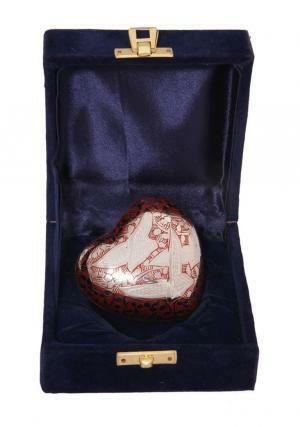 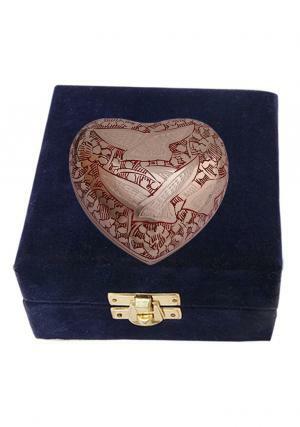 The heart keepsake funeral ashes urn has measuring of 2.85” inches in height and weighs around 0.24 Kg.